Leadership Gigs is an invitation only worldwide think-tank and forum for highly successful, new-breed leaders. 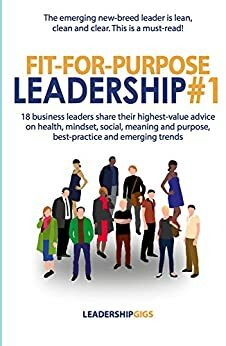 Here 18 high achievers share their current best thinking on corporate wellness and wellbeing: health, mindset, social, meaning and purpose, best-practice and emerging trends. And what it takes to be fit-for-purpose. 5.0 out of 5 starsWorld class inspiring practical leadership advice ! 18 business leaders share their observations over a wide range of topics that are reliant to all leaders in todays world. The topics are wide and the leaders are from a deverse backgrounds. There is something here for everyone.